NWU? AOR? What’s the Deal with the New Navy Uniforms? 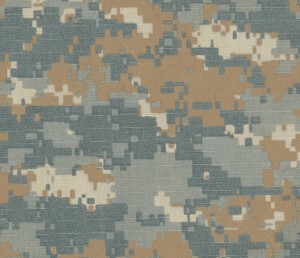 There’s been a big buzz in the last few days about the newest Camouflage patterns available to the Navy and the Special Warfare Community. You may or may not be familiar with NWU (Navy Working Uniform) Type 1, 2 or 3, but we’ll attempt to clear that up and update everyone on what’s happening. 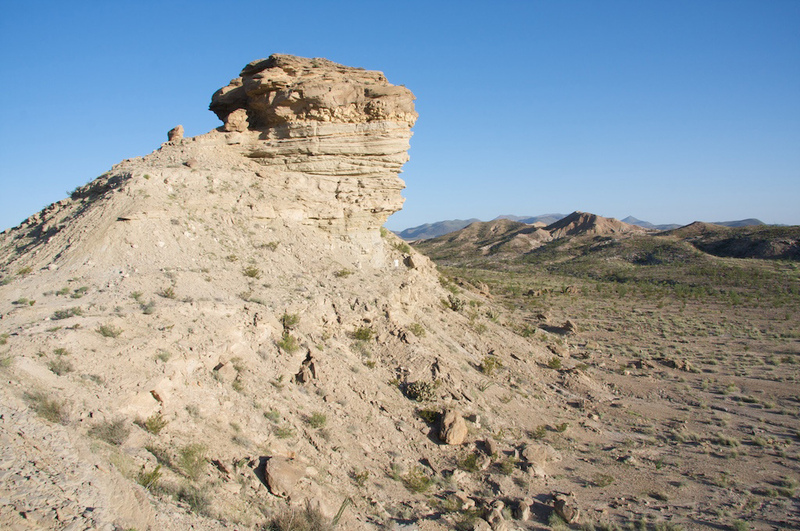 The latest news kicked off with an August 10th announcement of NWU II and III conformance testing on a Website dedicated to official NWU information and news. The Navy has gone above and beyond to get the information out concerning the new uniforms, but some things are still strange. Our friend Eric at Soldier Systems ran an article yesterday announcing the news on the conformance testing that was subsequently picked up by Christian at Kit Up!. Christian was able to extract some interesting answers out of the Navy, which we’ll get into below. Before we get into the news, here’s some background on the patterns to clear up any misconceptions. If you know much about the ACU (Army Combat Uniform) you’ll know that the pattern, which doesn’t blend in with anything other than a couch, is known as UCP (Universal Camouflage Pattern) not ACU. This is similar to the NWU II and III, where the pattern is known as AOR (Area of Responsibility) 1 and 2 respectively. 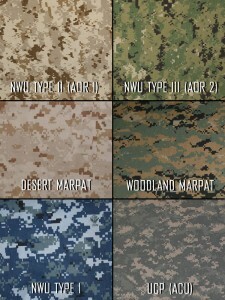 AOR1 is the Desert variant pattern used in the NWU II that to the untrained eye looks similar to Marine Corps Desert MARPAT. 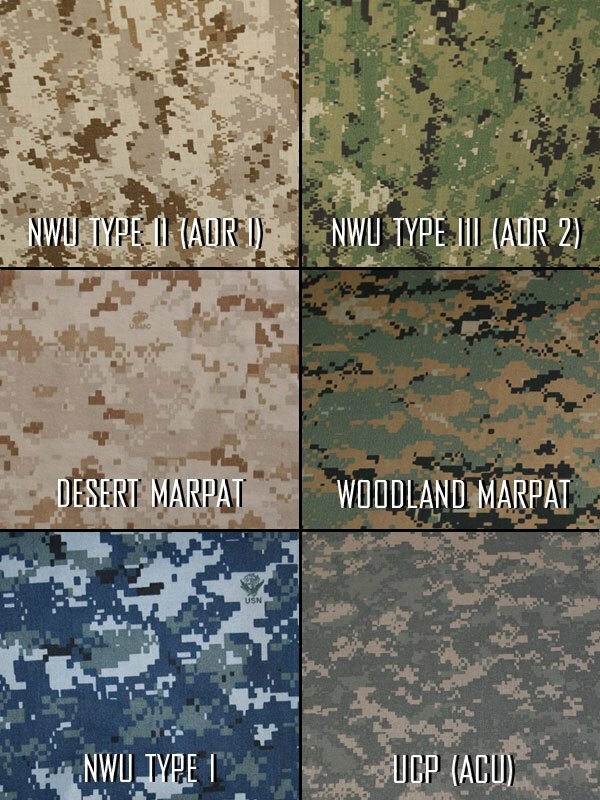 It’s a little harder to mistake AOR2, the woodland pattern (non-desert) used in NWU III, for Woodland MARPAT. I’ve called and confirmed with the NAVFAC NWU Program Manager that the NWU II and III patterns used are in fact AOR1 and AOR2, patterns which have been in development for many years now by Naval Special Warfare. The only difference in the patterns used in the NWU II and III is the inclusion of the ACE (Anchor, Constution and Eagle), much like MARPAT features the EGA (Eagle Globe and Anchor). 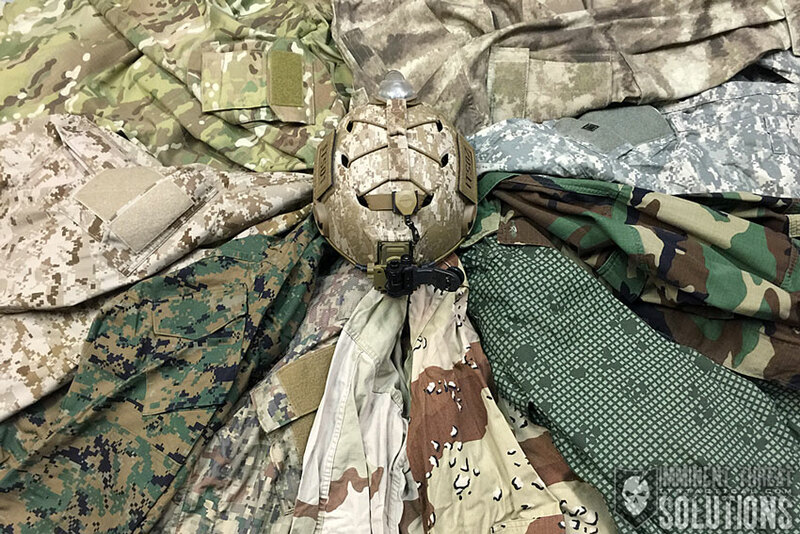 Hopefully the photo on the right will give you a good understanding of what the patterns truly look like and how much different AOR1 is from Desert MARPAT. Some pattern images used in the compilation on the right via OC Tactical. The full details of the conformance testing can be read in the NAVADMIN here. It breaks down like this. The entire conformance testing, which will last for six weeks, is ONLY for the Type III. While the testing is only for Type III, it will be to evaluate which version of BOTH the Type II and Type III will be issued. There are currently two different configurations for the uniforms, version 1 and 2. These versions incorporate different design features such as pocket size, pocket flap design, rank placement and trouser waist adjustment. The differences here in the Blouse are very slight, version one has smaller shoulder pockets than chest pockets and rectangular pocket flaps on all the aforementioned pockets. Version 2 has the same size shoulder and chest pockets, but all pocket flaps have a slight taper. Version 1 of the trousers have belt loops and a button fly with no elastic. Like version 1 of the blouse, the trousers have rectangular pocket flaps. The thigh pocket is also vertical on version 1, as opposed to version two which has the thigh pocket canted. Version 2 has the previously mentioned thigh pocket cant, an elastic waistband with the same belt loops and button fly on version 1. Like version 2 of the blouse, all pocket flaps have a slight taper. The Type III uniforms will be issued 15o Sailors, representing NSW, Seabees (Naval Construction Force) and EOD. Testing will be conducted in the vicinities of Norfolk, San Diego and Tampa. Type III will replace the existing woodland camouflage in CONUS and as prescribed by commanders OCONUS. Fielding of the new Type II and Type III uniforms is expected to start in the summer of 2011. So now that we’ve cleared up the Type III issue, let’s move into Type II. NWU Type II will ONLY be worn by Naval Special Warfare Operators and the Sailors who support them. The 3-color desert camouflage uniform is not going away. 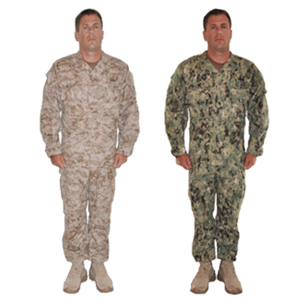 Sailors not authorized to wear the NWU Type II will continue to wear the current tricolor desert camouflage utility uniform in desert environments when issued by authorized command. Remember, the conformance testing is primarily for finding out which “version” works the best, and that will be produced in both NWU II and III. Christian from Kit Up! mentions that an “official” version has already been named, and that it’s what the MCPON (Master Chief Petty Officer of the Navy) is wearing in the photo to the right. I’m not sure if Christian has some insider information, but the photos of the MCPON may just be with what he prefers to wear. Christian goes on in the article to say that he believes that when this is all over Type III will be issued in version 1 and NSW will continue to buy their uniforms from Beyond and Crye in AOR1 and 2. This is probably true, but there’s more to it than that. 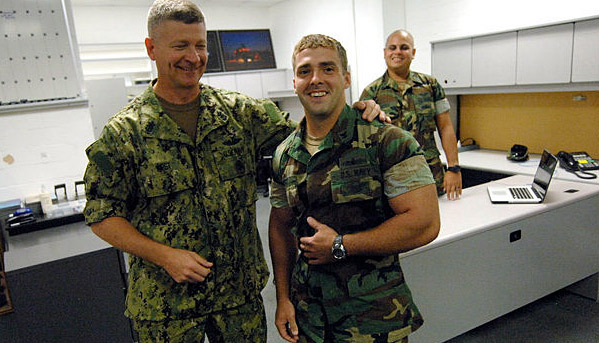 Naval Special Warfare still has to have a set of Type II cammies to show their face in when deployed, and they sure aren’t going to walk around in Crye Combat Uniforms. So in the end I personally feel certain that whatever version is chosen for the Type II and III will be issued to NSW as well. 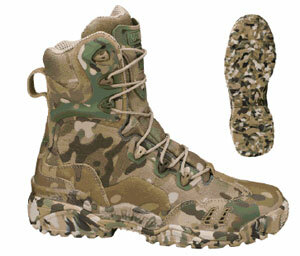 Operationally they won’t wear it, but it will be worn in place of the current Woodland and Desert uniforms. Also, the KitUp article mentions that even EOD will continue to wear the tricolor desert uniforms, but I believe that they’ll be issued the Type II as well. 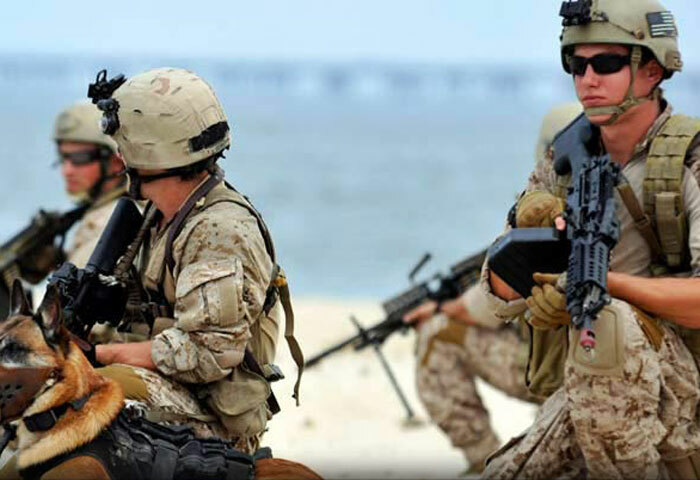 They’re just as much a part of Naval Special Warfare and work side by side with SEALs. They’ll be wearing Type II. I do agree with Christian that it’s a bit ridiculous to have spent 80 million on uniform development to only issue Type II to a few thousand in Naval Special Warfare, but I’m willing to bet a substantive part of that development money was spent when DevGru was originally developing new combat uniforms for just themselves. Keep up to date with what’s happening in NWU development with their Website or Facebook page.